The Over-the-Rhine and Pendleton neighborhoods, plus a portion of one other adjoining neighborhood, will now be exempt from zoning that requires one parking space per residential apartment and one spot for every 400 square feet of retail space. “It’s healthy to move beyond a place where the automobile is the sun in which society rotates around,” Council Member P.G. Sittenfeld said in support of the move, according to the Cincinnati Business Courier. The move is aimed at making the heart of Cincinnati more walkable, as parking lots frequently lack ground-floor retail or other destinations that entice pedestrians. 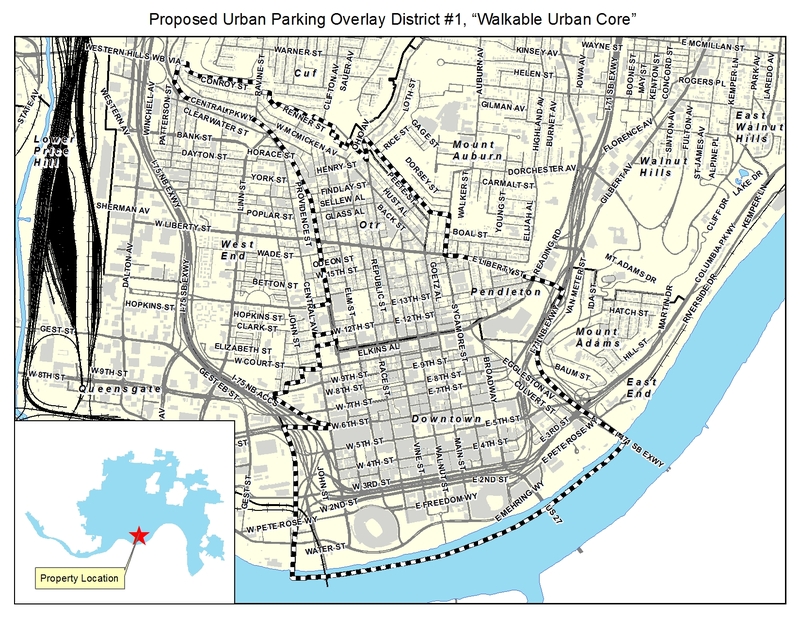 And the zoning change could also help housing prices, as the construction of a single parking space in Over-the-Rhine costs about $15,000, WCPO’s Pat LaFluer reported. Housing developers tend to tack that cost onto the prices of their rentals or coops. Even Mayor John Cranley — who has been somewhat hostile to urban planning reforms — told the Business Courier he thought the move would lower rents, promote historic preservation and reduce the need for the city to use tax incentives to spur development. In rolling back these rules, the Queen City joins a growing number of cities rethinking minimum parking requirements. Both Hartford and Buffalo, in recent years, have done away with the rules citywide, while Houston is considering exempting some central neighborhoods from such requirements. But those minimums are not typically based on any close inspection of neighborhood parking practices — and studies show they are often wildly off the mark. A 2005 study of six mixed-use town centers throughout New England [PDF] showed that the supply of the zoning-mandated parking was about two-and-a-half times more than demand for it at peak times. FYI – you can add the City of Wilmington, DE to the list as we just cut parking requirements in our downtown area too! Great for Cincy! Cleveland has had no parking requirement in their CBD since 1972 and just this year passed a rule that all new parking structures are required to have liner buildings. All good news. Throughout the world, the removal of parking lots from city streets is a complex process that never passes painlessly and simply. Great news! It is hard to keep track of progress on this. Whether Houston evolves into a more walkable city is a life of death issue, a recent Houston Chronicle investigation helps confirm.